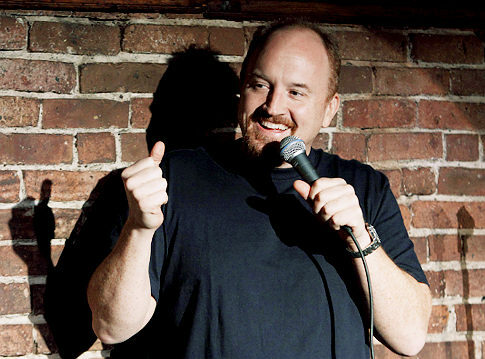 Louie: The Life and Stand-Up Of Louis C.K. As most dedicated Seinfeld fans know, the initial concept for what would become one of the best live-action sitcoms of all-time was an exploration of how comics get their material. The pilot episode was edited such that the action cut back and forth between Jerry’s life and Jerry on stage. And while the next few episodes maintained this format, the stand-up segments of the show were gradually scaled back, soon only appearing at the beginning and end of every episode, then only the beginning, and by the end of the show’s run not at all. By that point, of course, the show had evolved into the “show about nothing”—as opposed to a study of the life of a comic—that we all know and love. In a post way back in June, John S discussed the future of TV–a topic only now addressed by Nicholas Carr in the NY Times Magazine. In case you ever wondered why the Wall Street Journal doesn’t focus on sports, it might be because it churns out ludicrous stories like this one on the underdog status of Iowa Football. Now, we’re not here to say that Iowa isn’t, relatively, an underdog in major college football; it is, after all, located in Iowa. But, to write this story, after the Hawkeyes lost, when much much MUCH bigger underdogs such as TCU, Cincinnati, and Boise State are still unbeaten, was a bit shortsighted. Speaking of college sports, Tim has already indicated his love of Michigan basketball coach John Beilein, but he’s not the only one who loves that guy. The Michigan Daily tried to figure out just how Beilein has put Michigan basketball on the map. Keeping tabs on some NPI favorite comics: Aziz Ansari, from this summer’s Funny People, has a new Comedy Central special and DVD coming out in January. Hannibal Buress, who made our top 5 list, is now hosting his own weekly show in Brooklyn. Kumail Nanjiani,who hasn’t been mentioned on NPI before but was the face of “New York’s independent comedy scene” in a recent NYT profile, showed up at last night’s inaugural show. Wait a second, not all black musicians are rappers? John S: The Joan Rivers Roast wasn’t the best roast Comedy Central has ever done, or the worst; at this point the franchise has become so entrenched that consistent viewers know who and what to expect. The target at this point is incidental to the mere act of roasting. I’m not really a Joan Rivers fan, and I certainly wasn’t tuning in to see Kathy Griffin, but I think these Roasts are an underrated comic venue. The knock against them is that they seem to be exercises in repetition: Each comedian takes his or her turn making the same jokes. For this particular roast, the jokes seemed to oscillate between “Joan Rivers is really old” and “Joan Rivers has had a lot of plastic surgery.” What’s great about a Roast, however, is that it allows each comic on the dais to showcase a personal flair and interpretation of the same basic jokes. Sure, some of these comedians turn in jokes that are stale and boring and probably written by some intern, but plenty of comics have turned the Roast into a personal showcase. Gilbert Gottfried and Jeff Ross have each created a distinct voice in Roasts, and both were in traditional form at the Joan Rivers Roast. By far the funniest man on the dais, however, continues to be Greg Giraldo, who always seems to find the perfect balance of edgy, clever, and original humor. Giraldo is the Michael Jordan of Comedy Central Roasts, and he turned in another stellar performance on Sunday. Do you think Giraldo lived up to his own high standards? This Deep Thought—if you replace the word “diarrhea” with “leukemia”— kind of sums up the conceit of Judd Apatow’s new film (technically only his third as director, but his influence as a producer/writer has been felt everywhere in comedies recently, from Pineapple Express to Superbad), Funny People: Adam Sandler plays George Simmons, a beloved but lonely comic on the verge of death, who befriends/employs an upstart comedian, Ira Wright (Seth Rogen). Simmons is in some ways an analog of Sandler himself (an important difference, however, is that Sandler, unlike Simmons, is married with two children): A stand-up comedian turned star of popular, critically panned films—Re-Do, about a man-baby, Sayonara Davey!, about a white man living with a Japanese family, My Best Friend is a Robot, about, well, you can probably figure it out— that bear a certain resemblance to Sandler’s own filmography. While these films bring Simmons fame, fortune and success with women, they don’t bring fulfillment, and when Simmons gets sick, the only person he tells is his new assistant, Wright; Simmons has no close friends or family he feels comfortable confiding in. The movie, then, presents Simmons as the proverbial “sad clown”: He makes other people happy, but not himself.